I rushed to the supermarket this morning at 8am as my in laws are staying tonight and I wanted some bits for the fridge and some nice flowers for the house. I was so disappointed with the selection of flowers. They all looked more than a little bit ropey and there was no way they would last 7 days, 24 hours might have been pushing it! So I returned home empty handed. However, when I pulled up on the drive, I saw that there were some lovely bright flowers, growing in the bush in the front garden (don't get me to tell you what they are, as a keen gardener I am not). 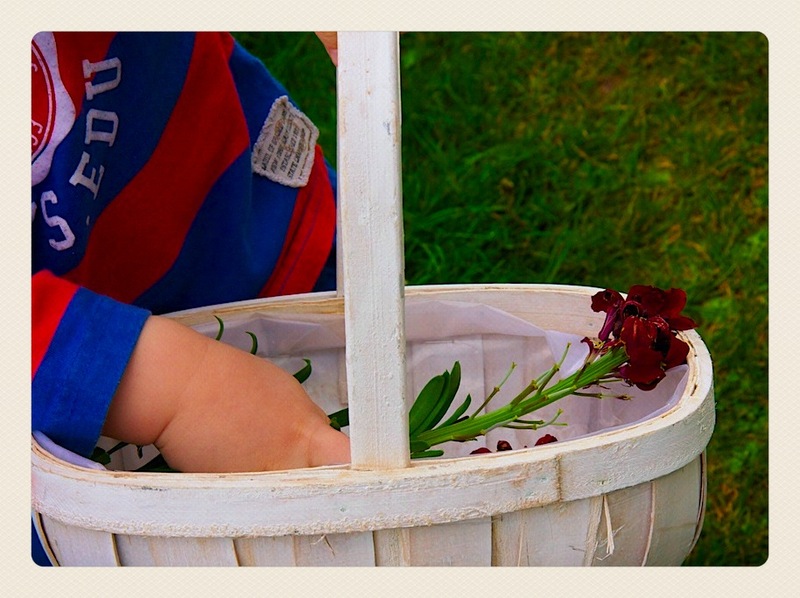 So out we went armed with a trug and the scissors and snipped some beauties. Even if they don't last very long, it is so lovely to have flowers in the house from our garden. Definitely going to plant some bulbs at the end of the summer, so we will have our very own flower garden next year.